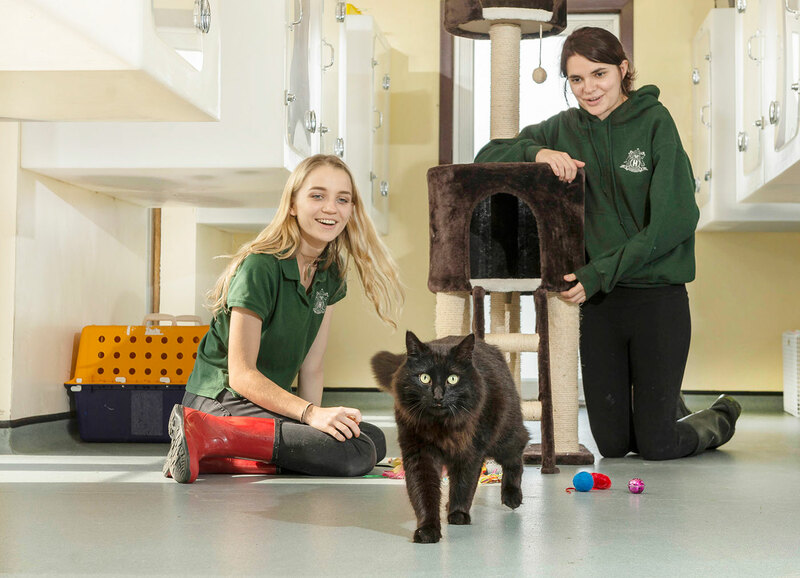 Our luxurious cattery was purpose-designed and constructed in consultation with a leading feline behaviourist and the RSPCA. Kept at a constant 19 degrees for optimum comfort, the indoor bedrooms are fitted with clean, cosy beds and have their own secure outside run with countryside views, which can be freely accessed all day. 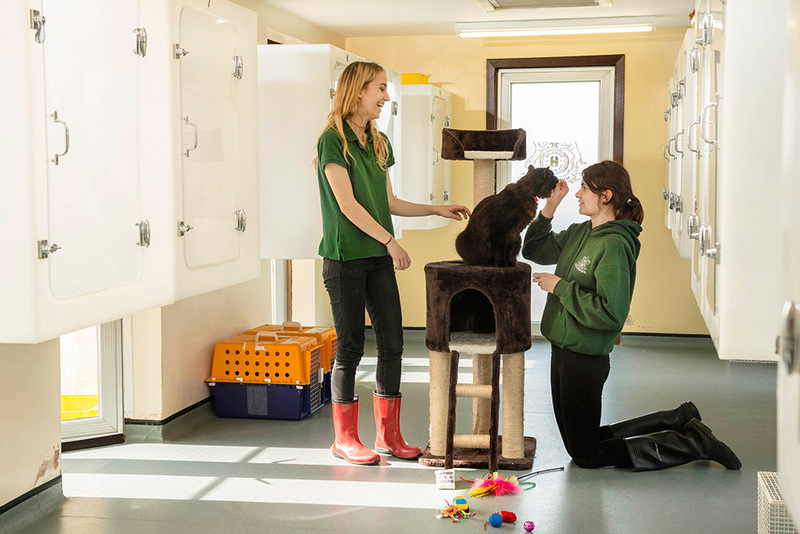 A triple-measure security corridor is in operation at all times, ensuring that your cat is always safe in our care. We have staff on site 24 hours a day with access to veterinary care around the clock. 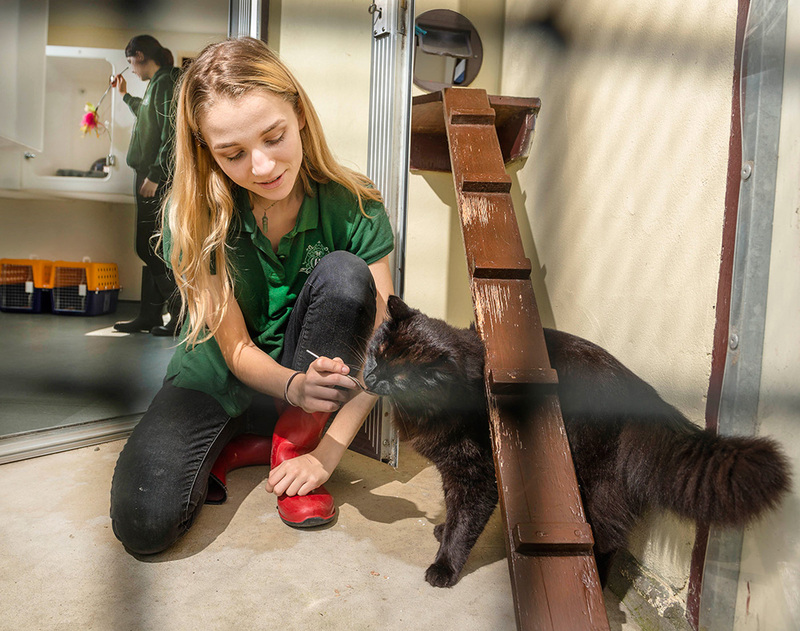 We provide superb care as standard, including making sure that we have a complete understanding of your cats feeding habits, likes and dislikes. In addition we will give you a full report on their stay when you collect them. You can also opt for additional care sessions to suit you and your cat. We’ll discuss the information we’ve recorded in full with you when you pick up your cat. If your cat is on a special diet or your preference is not on our list, we’re happy for you to bring in their food.